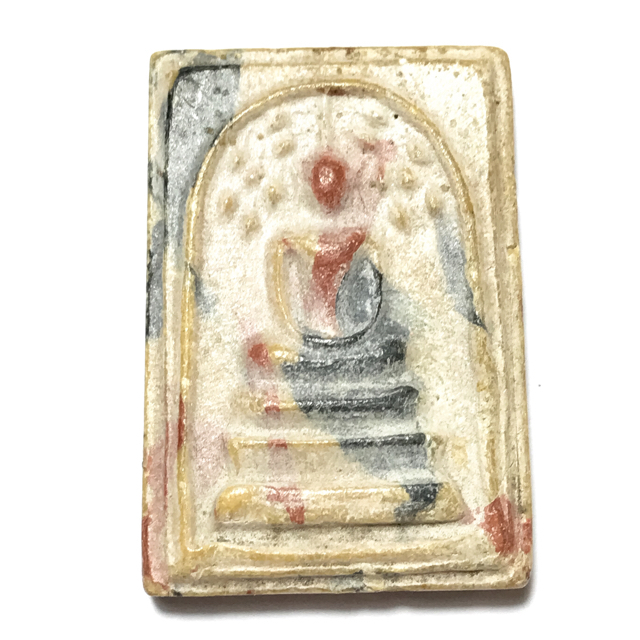 Pra Somdej Prok Po Bodhi Tree Buddha Votive Tablet in Nuea Pong Nam Man Sai Rung Rainbow Powders from Luang Por Khom. 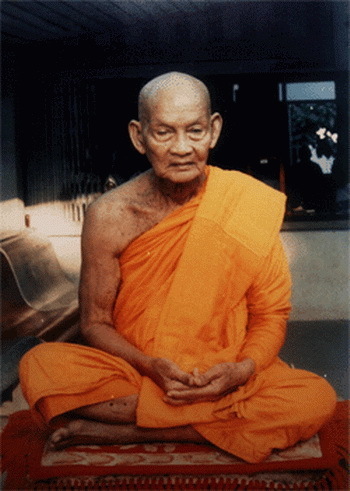 Luang Por Khom of Wat Pai Rong Wua, was renowned for his preference to make amulets that are Buddha Images, above images of himself, or Deities of the Hindu Pantheon. He always made his amulets in the most traditional methods of his Era, and would only rarely allow amulets to be made with his own image. Mostly he would like to make purely Buddha Images, and liked to make amulets in the ancient way of using baked clay. His amulets are very popular with those who prefer a purely Buddhist amulet, with no Black magick or Khmer Sorcery, for Buddhanussati Remembrance of the Buddhist practice. His adherence to preserving the Buddha Sasana in its pure form by adherence to making almost exclusively images that reflect the existence of an Enlightened Being (The Buddha), has been seen on Earth in the Past. This is the direct applied method of preserving the existence of Buddhism into the Future, up to the Time where Arya Sri Maitreya, the Future Buddha's Time has arrived, 2500 years in the Future from Now.